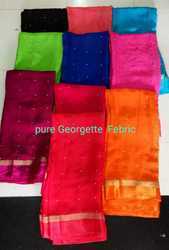 Manufacturer of a wide range of products which include banglori fabric, pure jute fabric, satin and chiffon dyeable fabric, banglori embroidery work fabric, two tone embroidery fabric and chinlon fabric. 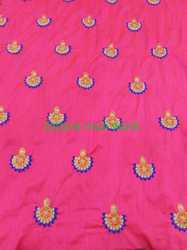 This design make any quality febric to tone fabric , banglori fabric , this rate depends on quality fabric. 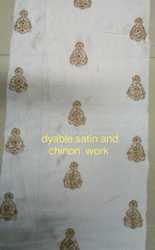 This pure jute Fabric make embroidery design use for dress material and blouse . Looking for Designer febric ?